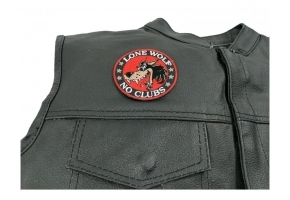 Price in Reward Points : 500 Only 13 Left Need More? 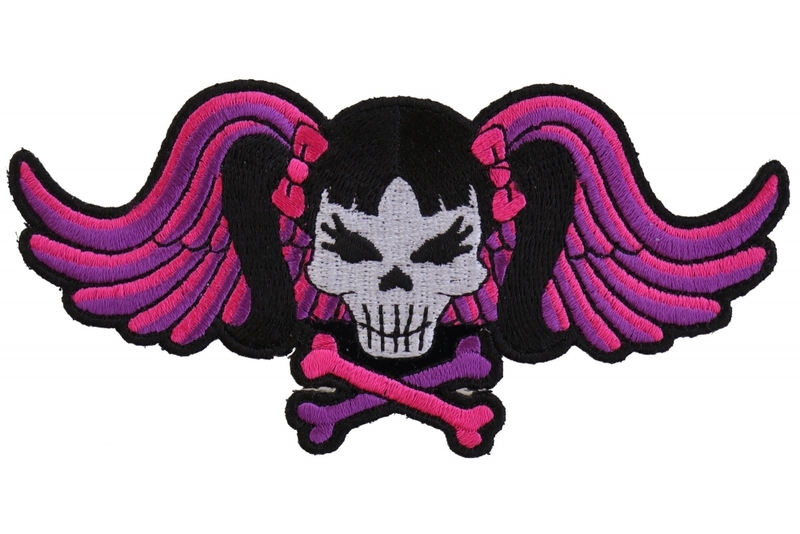 This small patch of skull with pig tails tied in cute little bows with a criss crossing bones beneath it. 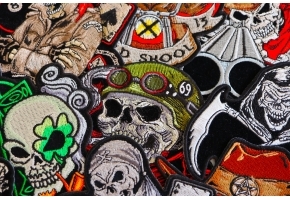 The small patch measures 5x2.5 inches. 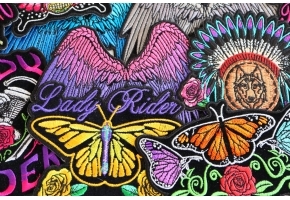 Embroidered in pink purple black and gray. 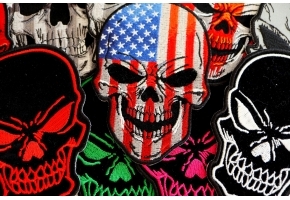 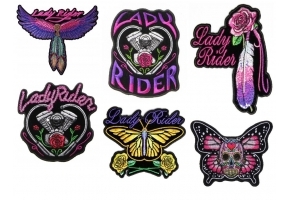 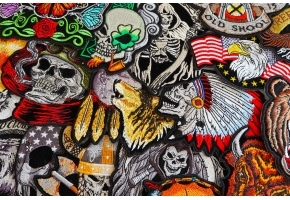 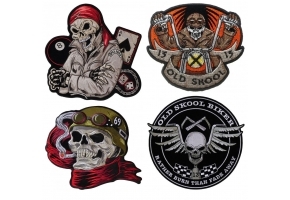 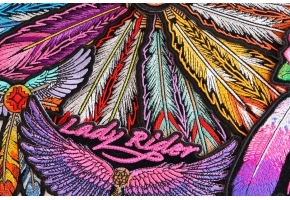 Check out our full selection of Girly Skull Patches.